Alpha-0 Empyrean village stage Barracks by Michael Bacon. 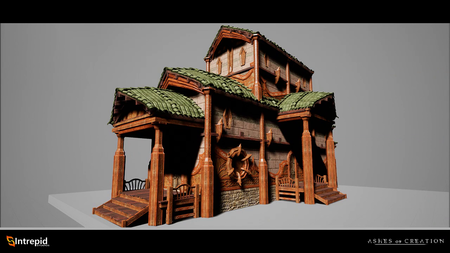 Barracks is a type of building in Ashes of Creation that unlocks at Stage 3 (village) of a Military node. ↑ Livestream, 16 October 2017 (13:32). ↑ 2.0 2.1 2.2 2.3 2.4 2.5 Livestream, 31 October 2018 (52:38). ↑ Livestream, 19 May 2017 (33:57). Diese Seite wurde zuletzt am 1. November 2018 um 22:40 Uhr bearbeitet.